As we continue our 5 year transition to Organic we are Replacing most of our seeds with, seeds that are Certified Organic, Untreated, Or Treated with Natural III. ( “Natural III Treatment is a ORMI listed biological seed treatment with the proprietary blend of beneficial microorganisms that help protect seeds and developing roots from fungal decay.” This is the First seed treatment I have Found to replace chemical treated seeds.) We will also be changing some of the varieties. Last year we added some Hot Peppers this year we are adding some Sweet Peppers. Extremely long storage onion. Patterson has the same firmness and storage qualities as Copra, with a larger size, better uniformity, and higher yield potential. 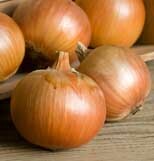 Medium-large, blocky bulbs with dark yellow skin and thin necks that dry quickly. Attractive package looks great on the stand. 7½-8" ears have 16-28 rows. 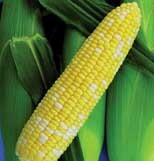 Kernels are very sweet with a traditional corn flavor. Deep bite. Average germination vigor. Intermediate resistance to common rust, southern corn leaf blight, and stewart's wilt. Parade has bright white shanks with no bulbing, and dark green, erect foliage. Very uniform, upright growth makes for easy harvest and cleaning. Organically grown. 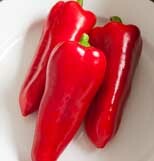 CarmenOrganic (F1) Pepper Seed A beautiful pepper of the Italian "bull's horn" (corno di toro) Carmen has a lovely, sweet taste for salads and roasting, especially when partially or fully red-ripe. Tapered fruits avg. 6" long x 2 1/2" wide, 5 oz. (142 gm), and ripen from green to deep carmine red. Maturity is early on an upright, medium-size plant. Suitable for outdoor or indoor production. AAS winner. Organically grown. New! 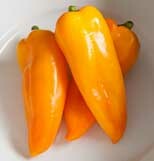 Half-size corno di toros.A new class of peppers, cornitos are 1-1 1/2" wide at the shoulders and 5" long. They are very early, sweet, and attractive smaller versions of Carmen and Escamillo, with similar maturity. Perfect for grilling and roasting, like their full-size counterparts. AAS winner. Organically grown. 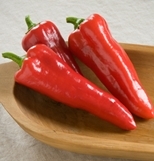 EscamilloOrganic (F1) Pepper Seed New! 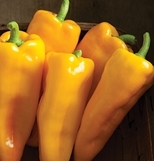 Large, golden yellow corno di toro type.Also bred by Johnny's, Escamillo has a gorgeous shape with similar lobed shoulders and a flavor that rivals Carmen's. Fruits are 6" long x 2-2 1/2" wide. AAS winner. Organically grown. 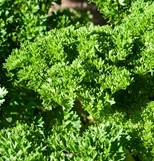 Moss Curled IIOrganic Parsley Seed Improved selection on the standard moss curled parsley.This culinary standard is easy to grow and tolerates light frost. The uniform, dark green, medium-fine curled leaves can be used as a garnish or a salad or entree ingredient. 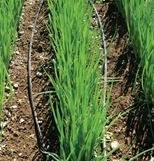 Multiple cuttings per season are possible from one planting. Don't forget to Sign up early as we have a limited number of CSA Memberships available, and often run out.